Put the cooked chickpeas and white beans into the blender, slowly adding ice as you blend. 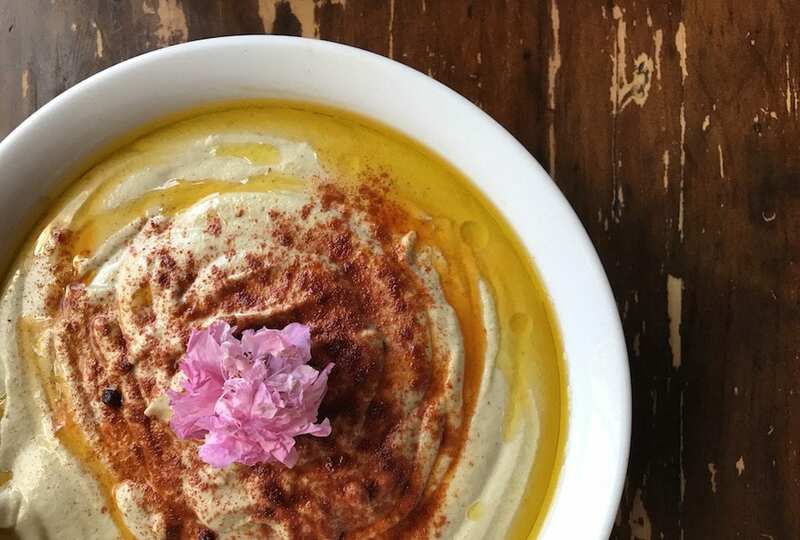 The addition of ice lowers the temperature of the blend, helping the hummus hold together better. When the chickpeas and white beans have reached a pasty consistency, slowly pour in the tahini and continue to blend until the mixture is very smooth. To serve, drizzle with some extra virgin olive oil and a sprinkle of sweet paprika.